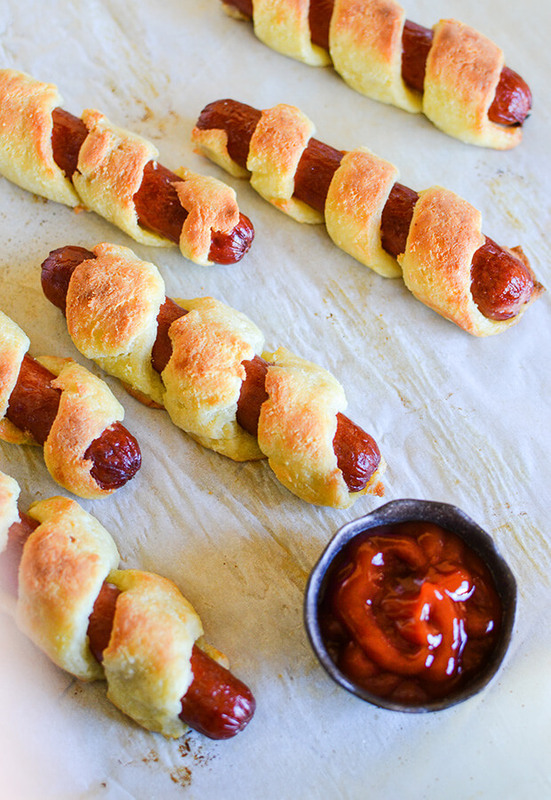 These family-friendly hot dogs go fast at my house. 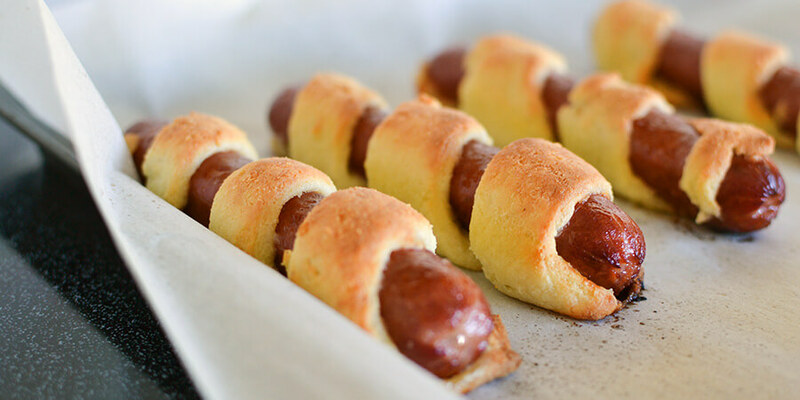 Large all-beef hot dogs are wrapped in cheese dough then baked to golden perfection. They’re easy to make, super filling, and look so impressive. Kids love this, and they are easy for packing in lunches. I used all-beef hot dogs from Costco, but you can use whatever brand you prefer. I think sausages would also be lovely. 1. 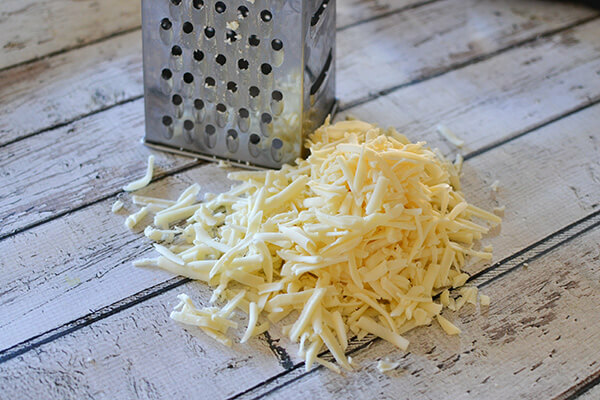 Grate the mozzarella cheese. 2. 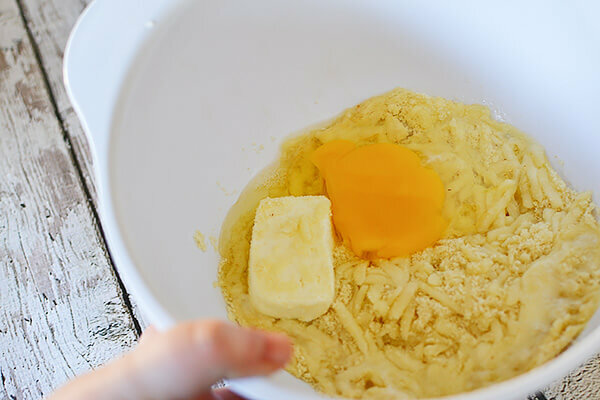 In a mixing bowl add the cream cheese, almond flour, and mozzarella cheese. Microwave on high for about 30 seconds. 3. Add in the large egg then mix everything. I like to use a silicone spatula because it doesn’t stick to the dough. 4. 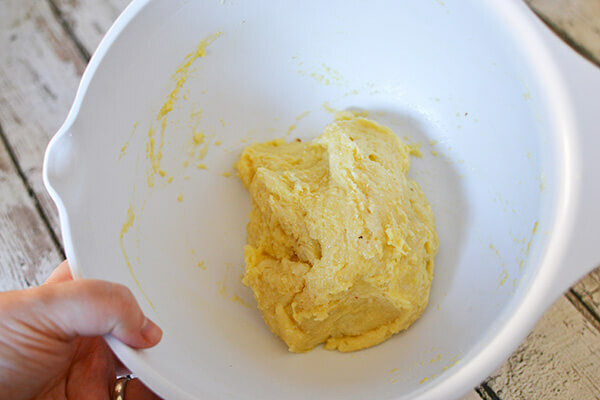 Place the dough on a piece of parchment or wax paper. If the dough is acting a bit “wet” then I prefer to use wax paper. 6. Cut the dough into 8 strips using a knife or a pizza wheel. 7. 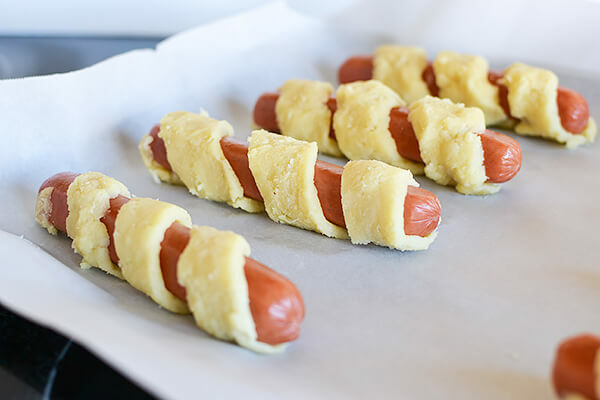 Carefully wrap the strips around the hot dogs. Sometimes the strips break on me. Don’t worry, just press the dough back together. Some of the dogs might look a little lumpy if this happens but that’s OK.
8. Bake at 400°F for about 20-30 minutes or until golden brown. You can pop this under the broiler for the last few minutes to get a nice color on top. 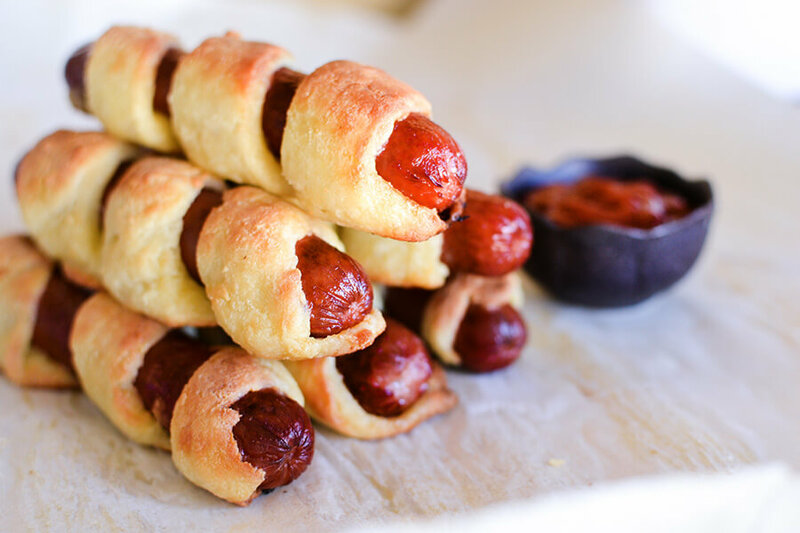 This makes a total of 8 crescent dogs. Each serving comes out to be 343.6 Calories, 28.5g Fats, 3.5g Net Carbs, and 17.3g Protein. 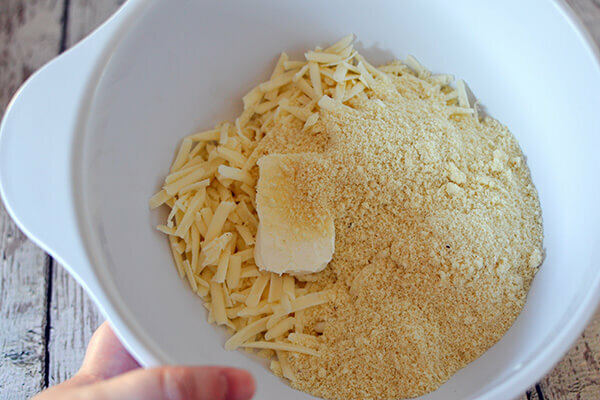 In a mixing bowl add the cream cheese, almond flour, and mozzarella cheese. Microwave on high for about 30 seconds. Add in the large egg then mix everything together. I like to use a silicone spatula because it doesn't stick to the dough. 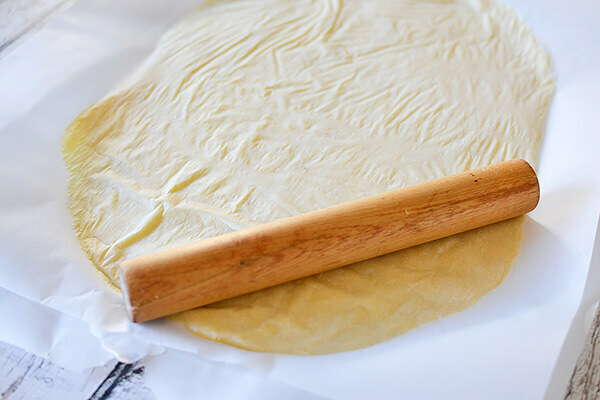 Place the dough on a piece of parchment or wax paper. If the dough is acting a bit "wet" then I prefer to use wax paper. 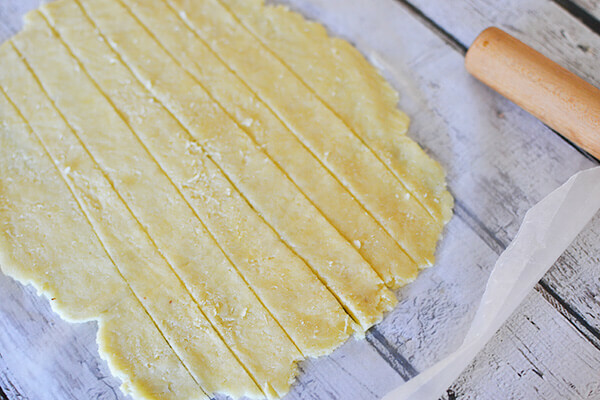 Cut the dough into 8 strips using a knife or a pizza wheel. Carefully wrap the strips around the hot dogs. Sometimes the strips break on me. Don't worry, just press the dough back together. Some of the dogs might look a little lumpy if this happens but that's OK.
Bake at 400°F for about 20-30 minutes or until golden brown. You can pop this under the broiler for the last few minutes to get a nice color on top.